Oh hey friends. Happy Monday! This weekend I spent time at Deer Valley Resort for the Better Blog Retreat. Of course, I’ll tell you more about it in an upcoming post, but for now all I want to mention is that I CANNOT even begin to explain to you how completely gorgeous Utah is. I had no idea! For the rest of the week, Tony and I are driving down to Moab, Utah to see my Mom, then we’re headed to Denver for a little vacation. Honestly, we need it. The past month has been CRAZY face due to moving, painting, traveling, projects and basically everything else that life throws at you. And now it’s almost November? I just can’t even. It would be terrific if I could just lock myself in a Trader Joe’s for Thanksgiving. Think about it… wine, pumpkin EVERYTHING, chocolate, salads and Wally. Unfortunately, we probably all have a little cooking to do and I’ve got some FANTASTIC recipes coming up for the holidays just for you. First, let’s start with the classic must-have roasted veggies made with garlic, oregano and vegan parmesan cheese (thanks to my friends at GO Veggie!). 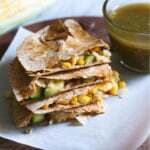 As many of you know, I’ve been making recipes with GO Veggie! products for the past year. I think it’s a wonderful alternative to regular cheese and perfect for those with sensitivities around the holidays. Have you tried it yet? Tony’s obsession with oregano is spinning wildly out of control. I have to buy it frequently because he puts it on his popcorn almost nightly. I have to admit, it’s really growing on me too and so I thought it would a great herb to add to beautiful olive oil roasted veggies. Plus, with the addition of vegan parmesan, there’s really no reason not to make these. They’re flavorful, healthy and beautiful on any table. I do have to say though that these veggies would be FABULOUS tossed with some cooked quinoa for a nice vegetarian dinner. Talk about flavor! Oh and please, don’t forget to tell me your favorite places in Denver in the comments so I can be sure to check them out! Deliciously wonderful roasted veggies with incredible flavor from fresh garlic, herbs, olive oil and a hint of parmesan cheese. 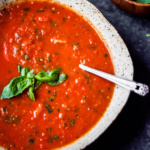 Preheat oven to 400 degrees F. Add veggies to a large bowl. 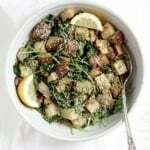 In a small bowl, whisk together olive oil, oregano, rosemary and garlic Pour over veggies and toss to evenly distribute. Add in parmesan topping, salt and pepper and toss again until well coated. 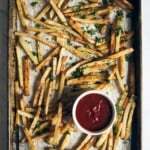 Pour on a baking sheet and spread out evenly. Roast in oven for 35-45 minutes, stirring every 15-20 minutes, until squash is fork tender and sprouts are slightly crispy and caramelized. Remove from oven, cool for a few minutes, then serve! Makes 8 servings total. Feel free to sub butternut squash with cubed sweet potatoes or regular potatoes if you'd like that more! This post is sponsored by GO Veggie!. All thoughts and opinions are my own. Thanks for continuing to support the brands that help make this site possible! 32 Responses to "Wonderful Roasted Veggies with Parmesan, Olive Oil & Garlic"
This recipe looks amazing, and perfect for me as a vegan! Thank you! These roasted veggies are perfect!! I need to make these for thanksgiving, everyone will love them!! 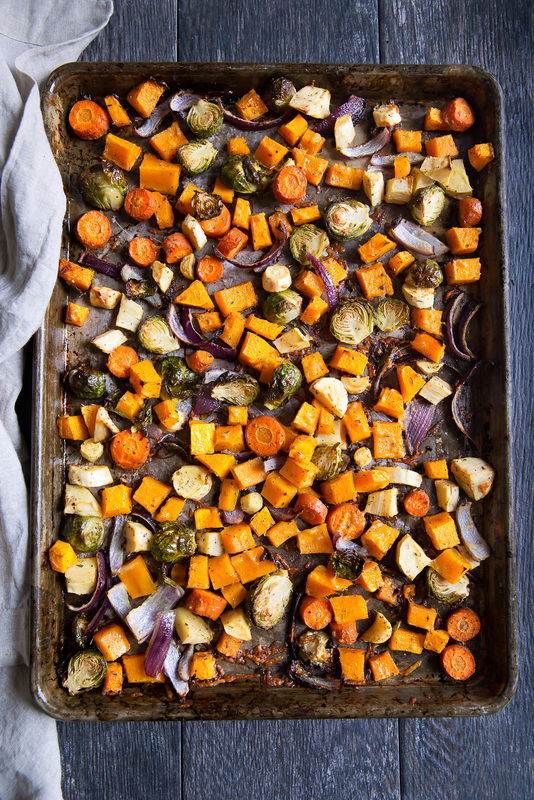 Love roasted veggies this time of year, and girl, this flavor combination is calling my name! So glad you guys enjoyed Park City! We moved here from MA a couple of months ago and absolutely love it! One of my fav ways to use roasted veggies like these is to toss it in some homemade mac and cheese! So delish! I’ll be back there in December again – so excited! Yum! I’ve never tried the Go Veggie brand but I’ll have to check it out since I don’t eat cheese anymore. These look delicious!! i remember liking park city a lot more than i expected to when i visited 5-ish years ago. there’s so much to do (i went to a cow ice cream place way too frequently for a one week trip) and see (everything is so pretty!). hope you guys get in some quality r&r time, and can’t wait to see the projects! I spent some time at Deer Valley with a bunch of bloggers in 2012. What an amazing place. I totally fell in love with Utah too. These veggies look fantastic, BTW! I like idea of throwing some roasted veggies in mac & cheese. 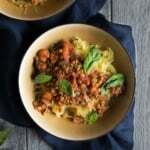 These look amazing and I have not tried Go Veggie yet. Deer Valley is my favorite place to ski in the world:) I had my pic taken with Stein Eriksen this past March while having lunch outside at Stein Eriksen lodge. There is something magical about that place. yeeeeees to roasting all the veggies! I’m definitely ready, with my game face on! I had so much fun watching Liz’s snaps of your retreat!! (I’m still super new and utterly confused when it comes to Snapchat, so if you’re on there too, I need to find your account!) The running clinic, all of that chocolate (ummm I would’ve left behind all of my clothes and loaded my suitcase with nothing but those bars! ), the food, the dancing… It looked like a blast. 🙂 And my family would love to have a TJ’s Thanksgiving dinner too — we’re all obsessed with that store! Your veggies would be a huge hit with my family too. My dad loves roasting a big tray every weekend, so he’d love these! Utah is so amazing, especially this time of year. Denver is home though, and there’s so much to do! Ophelia’s and Root Down are “sister” restaurants and both great, and the new Union Station is beautiful (there are restaurants and little shops inside too). Jelly and Snooze are breakfast classics and Steuben’s is an amazing spot for dinner and lunch too! They’ve done a wonderful job with the Denver Botanical Gardens for Halloween and of course, there are tons of pumpkin patches and farms to explore. I hope you enjoy the mile high city!! Thank you for the recommendations. I think we might try Jelly or Snooze and set hit up Union Station! My kitchen is always ready for roasting. And I like the idea of roasting vegetables. It will be a new hit in the kitchen! 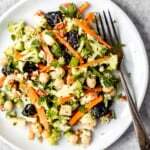 I love roasted veggies, they are perfect for Fall – light, but still have that extra flavour of a cooked meal. And I bet that the parmesan and garlic add even more to it. Utah is amazing, Moab especially, a very inspiring place for a blog conference! This veg looks to die for, love the colours and fall feelings. I’m always looking for different ways to cook up veggies, as steaming them can get a bit old. These look to die for, I’ll definitely be trying them sometime soon! Enjoy your trip! These veggies look amazing! Glad you survived all of that snow! GAH. It looked terrifying and was a glimpse into what we’re about to experience in Chicago. Wah. Love these veggies. I’m a Brussels fanatic, especially at this time of year. If it’s not too late, yoy should drive through Durango on your way to Denver. It will take a little longer, but will be much more scenic! Whoa. I love that first shot! I’ve never been to Utah, but I’m always in awe of the photos I see. 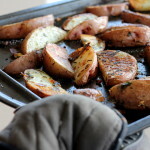 Love these roasted veggies! 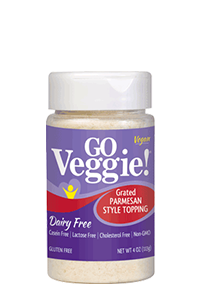 The Go Veggie parmesan is awesome. 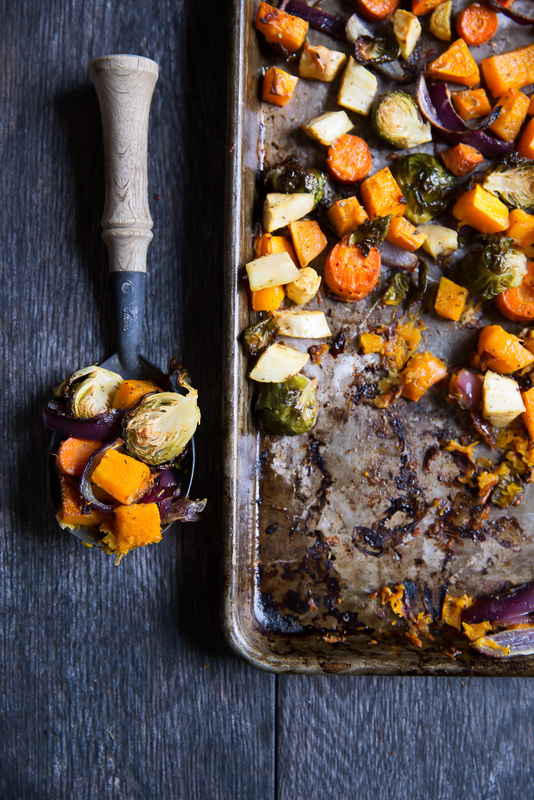 These roasted veggies are Fall perfection! Tried it yesterday with my roomates and we all loved it, delicious 🙂 !!! Can anybody help me remember the name for this dish? I’m racking my brain and it’s driving me BONKERS!